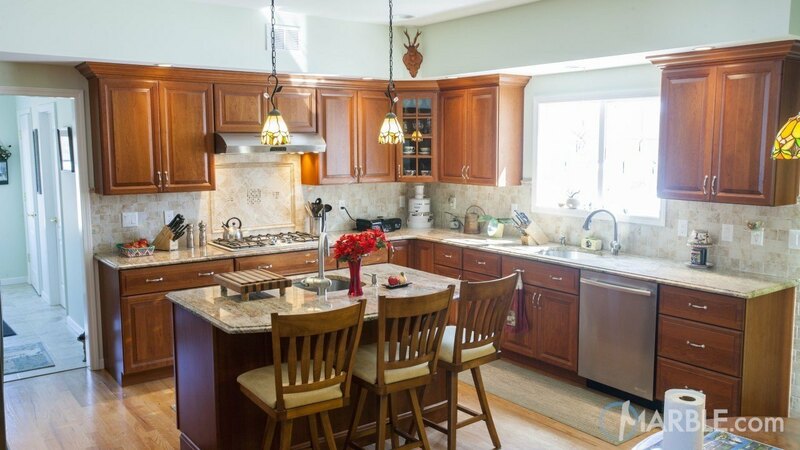 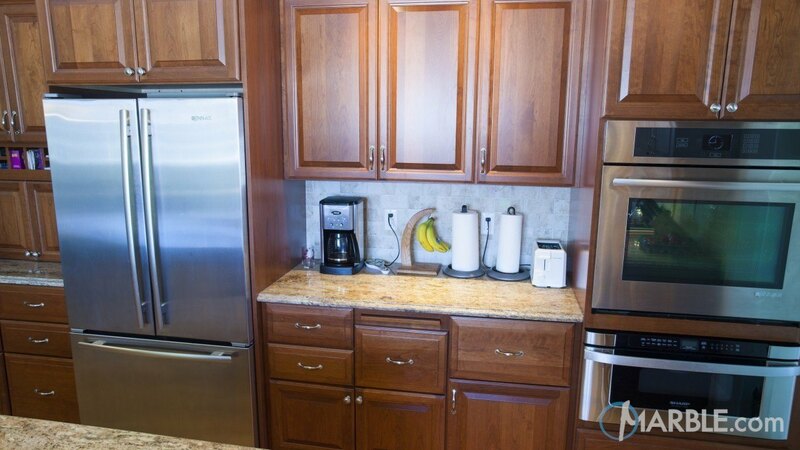 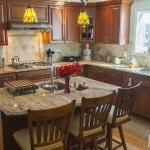 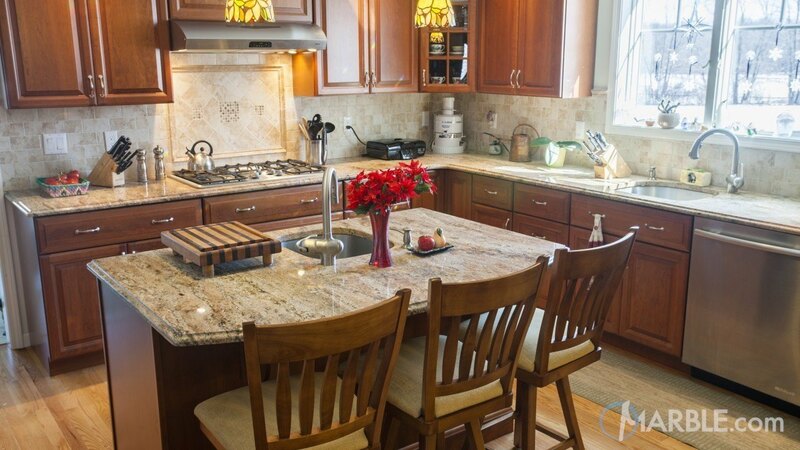 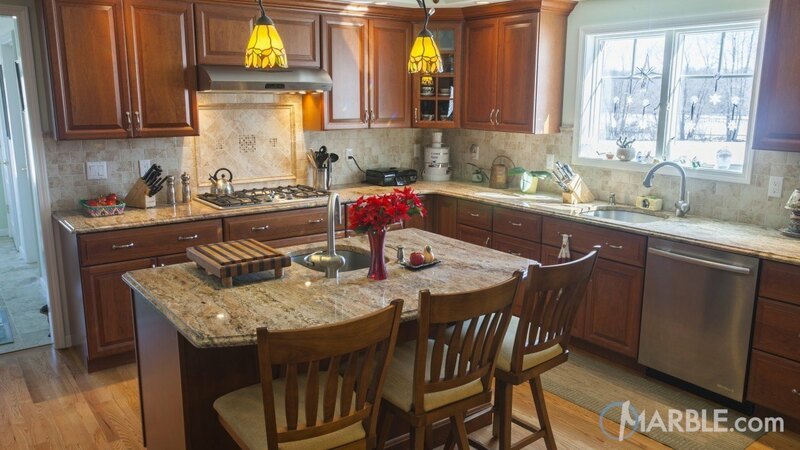 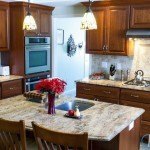 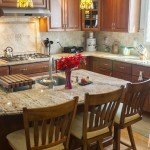 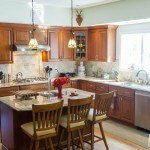 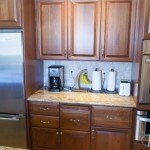 This traditional kitchen features an open design with an island in the middle doubling as a work station and eating area. 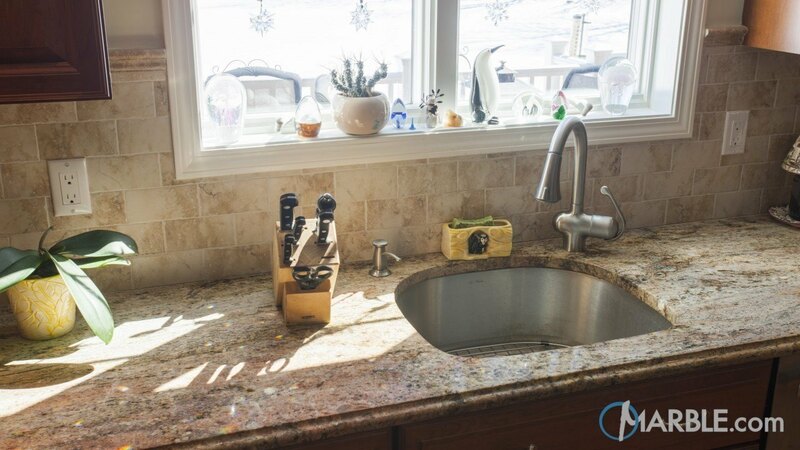 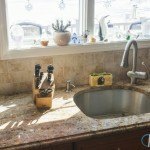 Doubling up as a counter top space makes for super easy cleaning and serving. 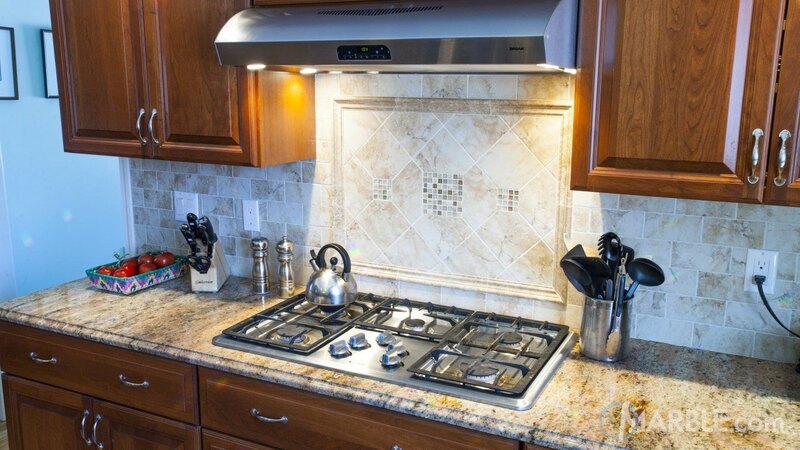 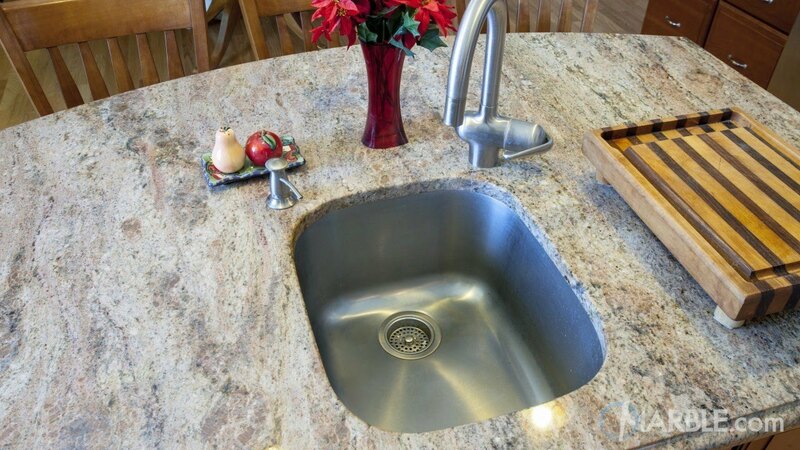 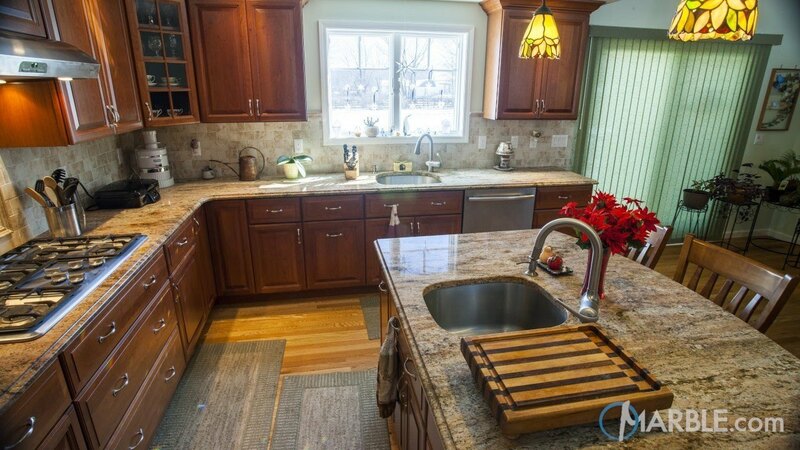 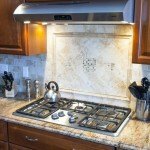 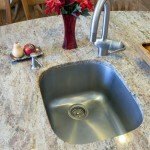 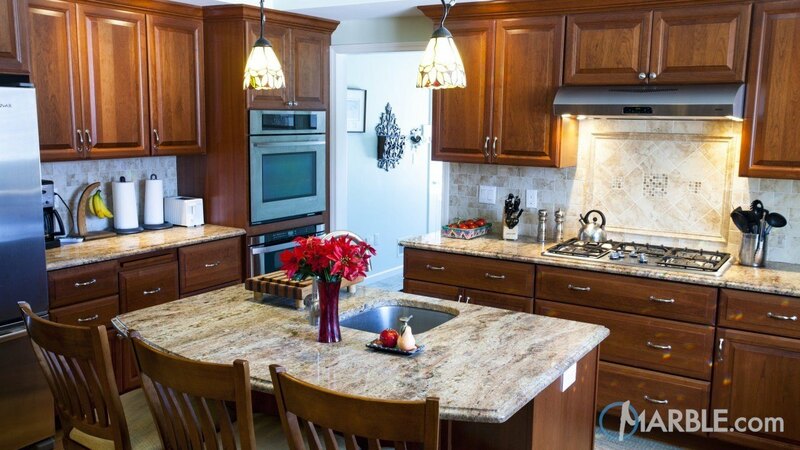 Lady Dream granite is a super durable stone with lots of earth tones. 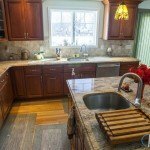 Lady Dream will match almost any color and looks great against other earth tones as we see in the cabinets and flooring.